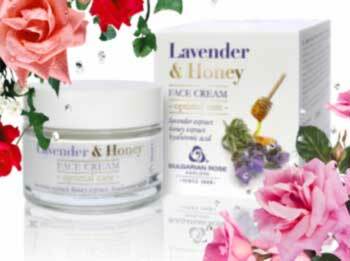 Active ingredients: lavender extract, honey extract, hydrolyzed ruccola, hyaluronic acid, almond oil, Shea butter, vitamin E.
Gentle cream for visibly softer and radiant skin, for optimal care with incredible scent of lavender and honey. Rich in natural active ingredients with soothing softening and smoothing effect. It nourishes and recovers all skin types. Strengthens skin’s protective function against harmful effects of free radicals. Regular use of the cream keeps skin silky, soft and supple. Apply on cleansed face, neck and neckline with light massage movements in the morning and/or in the evening.